Amen Lucy, Amen's debut album Ashore for the End and an Amen Lucy, Amen River T-shirt in one bundle. $22 value. 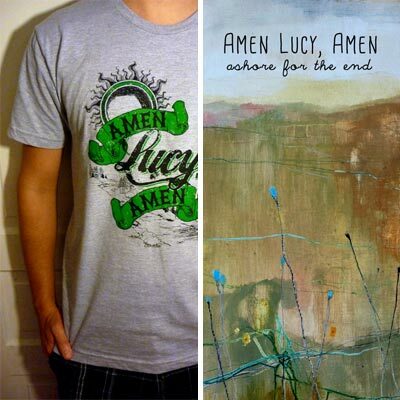 Items will arrive together, and will not ship until 1.17.2014 (album release date). 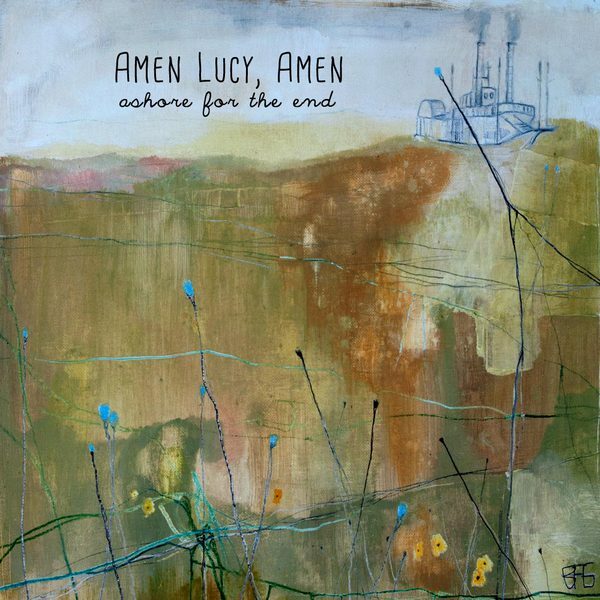 The debut album from Saint Louis folk band Amen Lucy, Amen. Available on CD and download. Below is the first single "Look Out!" 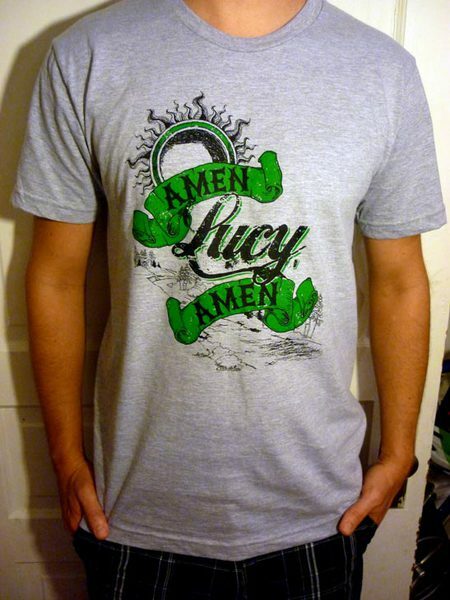 "River" design printed on heather grey shirts with black and green ink. 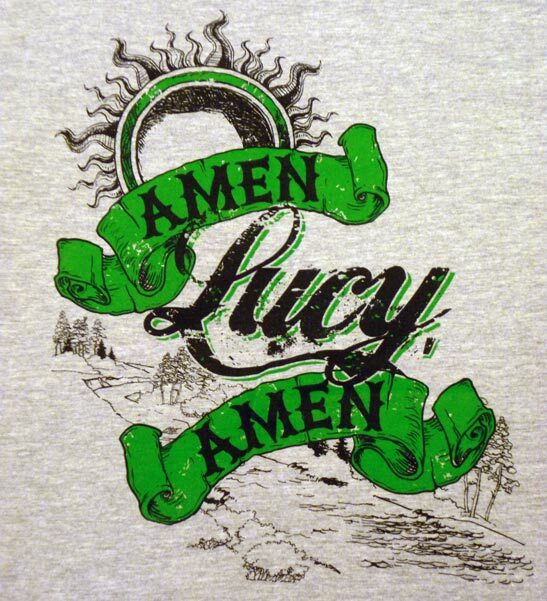 T-shirt design by Tony Foster at Foster Creativity.